← How Many Miracles are Required to Canonize a Saint? A: It would have been marvelous to be able to respond to John that the priests of the Society of Saint Pius X (SSPX) were now fully united to Rome, and thus had a status comparable to the members of any other religious institute in the Church. Sadly, however, this is not the case! While Pope Benedict was clearly hoping to reconcile the SSPX to the Church during his papacy, the fact is that this important item on his to-do list was left unfinished when he resigned in February. As we saw in “Are They Excommunicated? Sanctions, Part III,” the status of the SSPX from its very inception was canonically questionable, as its founder, the late Archbishop Marcel Lefebvre, had established it in 1970 without the following the procedures and obtaining the approbations that were required at the time. Nevertheless, for many years the SSPX grew (and in many areas of the world, it positively thrived) on a sort of parallel track with the Catholic Church, without being directly and formally condemned by Rome. Things changed dramatically in 1988, however, when Lefebvre consecrated four new bishops without papal mandate, an act which caused the four men and Lefebvre himself to be declared excommunicated by John Paul II. As was noted in the abovementioned column, this excommunication applied only to these individual men, and not to the SSPX as a whole. Eleven years later, as was already discussed in “Canon Law and the SSPX,” Pope Benedict lifted the excommunications of the four bishops. But this did not automatically bring with it a reconciliation between the Catholic Church and the whole institute of the SSPX, which remains a separate issue. 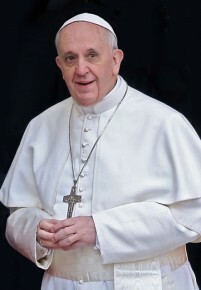 A distinction has to be made between the Pope’s concern for the spiritual wellbeing of the four men who had been under excommunication, and who had respectfully petitioned the Pope to return to full communion with the Church; and the canonical status of the entire SSPX, which still has never been recognized by Rome. In the meantime, Pope Benedict’s 2007 motu proprio document Summorum pontificum inadvertently confused the issue in the minds of many Catholics even further. It asserts the right of all Catholic priests to celebrate the traditional Latin Mass, as well as the newer Novus Ordo Mass. This had long been a key bone of contention between the SSPX and Rome—and by signing this motu proprio, Benedict instantly removed it. The members and supporters of the SSPX now found that they had been handed one of the most significant items that they had wanted all along. Once again, however, Summorum pontificum did not bring with it a regularization of the status of the SSPX in the Church; in fact, the document doesn’t mention the SSPX at all. If anything, it was intended to encourage the members of that Society to regularize their status in the Church. It seems reasonable to surmise that by allowing the Latin Mass to be celebrated by all Catholic priests everywhere, the motu proprio caused many of the lay-faithful to stop attending SSPX Masses, and to return to regular Mass-attendance at their proper Catholic parishes instead. This was, of course, not an accident; Pope Benedict clearly intended the document to serve to begin healing the rift between the SSPX and its supporters, and the Church. Obviously, therefore, some significant SSPX-related events took place during the papacy of Benedict XVI—but even more have been going on behind the scenes. Private discussions have continued intermittently, as the Vatican has tried to induce the leaders of the SSPX to return to Rome. Since these talks are private, there naturally are no official reports of what is discussed, and no descriptions of what progress (if any) has been made—but in the past year or so some in the Vatican (most notably the Prefect of the Congregation for the Doctrine of the Faith, Archbishop Gerhard Mueller) have obliquely indicated that a reconciliation should not be considered imminent. This general stance has been echoed by some in the SSPX as well, who do not appear overly anxious to regularize their status in the Church. As long as the Society [of Saint Pius X] does not have a canonical status in the Church, its ministers do not exercise legitimate ministries in the Church…. In order to make this clear once again: until the doctrinal questions are clarified, the Society has no canonical status in the Church, and its ministers – even though they have been freed of the ecclesiastical penalty – do not legitimately exercise any ministry in the Church. In other words, SSPX clergy may celebrate a beautiful and edifying Mass, but since their status in the Church has not yet been regularized, what they’re doing is illicit. They do not have authority to minister to the Catholic faithful, because such authority can only be given to them by lawful church superiors—and to this day, they still don’t have any lawful church superiors! A priest who says Mass in your diocese, and administers the sacraments to the Catholics of your diocese, does so licitly only if he has the permission (which, in the case of visiting priests, is normally tacit) of the diocesan bishop. As has been noted so many times in this space, it’s the diocesan bishop who ultimately is responsible for the spiritual well-being of the faithful of the diocese, who have been committed to his care (cc. 383.1, 387). Consequently, as we saw in “Can a Bishop Forbid a Priest to Say Mass?” a bishop can order a priest who is visiting his diocese not to say Mass or administer the sacraments there. If, for example, a priest comes to town who is well-known for heterodox theological views, or for other questionable/scandalous conduct, the local bishop can tell him he is not welcome, and insist that he leave—and the priest is expected to obey, deferring to the local church authority. This example fits the situation of all the clergy of the SSPX. With the rare exception of absolution in danger of death (discussed in “Can All Priests Always Hear Confessions?”), priests of the SSPX do not administer any of the sacraments licitly to the people who approach them. Their sacramental ministry is illicit, or illegal. Period. But does this mean that the sacraments administered by SSPX priests are also invalid? Not necessarily. A fuller discussion of the distinction between validity and liceity can be found in “Are they Really Catholic? Part II,” but in a nutshell, it’s possible sometimes that a sacrament is truly conferred (meaning that it’s valid), but it shouldn’t have been conferred (meaning it’s illicit). Let’s look at the seven sacraments one by one, and see whether clergy of the SSPX are indeed able to confer them validly. 1.) Baptism. As has been seen before in “Do Converts Have to be Rebaptized?” and other columns that addressed this sacrament, baptism is the easiest sacrament to administer validly. You don’t need to be a priest, or a Catholic, or even a Christian to baptize someone! Consequently if an SSPX priest performs a baptism in the approved manner and with the proper intention, the person is really and truly baptized. 2.) Holy Eucharist. As has been discussed in great detail in “Can a Bishop Forbid a Priest to Say Mass?” a validly ordained priest always possesses the power to consecrate the Eucharist, and thus to celebrate a valid Mass. Therefore, even when a priest says Mass against the wishes of the diocesan bishop in whose territory he is, the Mass is valid, as the Eucharistic sacrifice really does take place. The power to consecrate the Sacred Species can never be taken away from a priest by anyone on earth! Logically, then, the Hosts which are consecrated at an SSPX Mass are truly the Body of Christ—so anybody who receives Holy Communion at such a Mass does so validly. 3.) Confirmation. 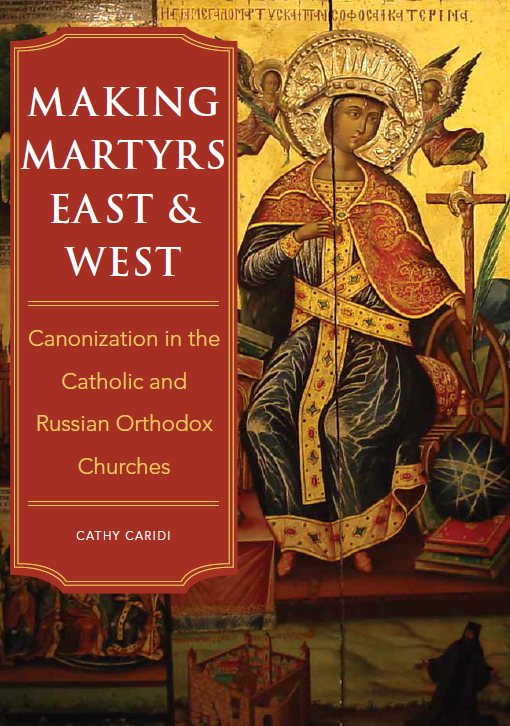 Canon 882 states simply that the ordinary minister of confirmation is a bishop. Note that it doesn’t specify that it must be the diocesan bishop, in whose territory the confirmation takes place, because any bishop can validly confirm. It’s not uncommon to find a diocesan bishop requesting help from (say) a retired bishop, when the diocese has so many parishes that its bishop is physically unable to travel to all of them and confirm everyone by himself! Thus the confirmations administered by SSPX bishops, who routinely travel all over the world to administer this sacrament, are indeed valid. 4.) Anointing of the Sick. The law regarding the valid administration of this sacrament couldn’t be clearer: canon 1003.1 states that every priest can validly administer it. That naturally includes SSPX priests as well. 5.) Ordination. Again, the law is perfectly clear, as canon 1012 states that the minister of ordination is a consecrated bishop. 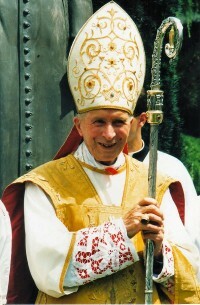 The SSPX certainly has several validly consecrated bishops; the four men who were consecrated back in 1988, provoking their excommunication, are truly bishops, as Archbishop Lefebvre possessed the sacramental power to consecrate them even though he was ordered by Pope John Paul II not to do so. Even while they were still under excommunication, these true bishops in turn could validly ordain priests. Therefore the priests ordained by SSPX bishops are validly ordained priests, with the sacramental power—but not the authorization!—to administer the sacraments as already described above. So far, it seems that every sacrament administered by SSPX clergy is validly conferred, doesn’t it? But that’s because in the case of the five sacraments just discussed, the priest (or bishop) doesn’t require anything other than the power conferred on him by his ordination (or episcopal consecration) in order to truly administer the sacrament. This is, however, definitely not the case with the remaining two sacraments, which cannot always be celebrated validly by all clerics everywhere—far from it! We’ll look at what the Code of Canon Law has to say about validly celebrating the sacraments of Penance and Marriage in the next column. This entry was posted in Clergy Issues, Crimes and Sanctions, Sacraments and tagged canon law, Catholic, sacraments, SSPX, validity. Bookmark the permalink.